Hardcover, 9 x 11 in. / 160 pgs / 100 color. This complete works of Johannes Vermeer, with close-up details showing numerous details and the artist's brushwork. The past 150 years have seen Johannes Vermeer steadily ascend from lesser-known Dutch painter to one of the world’s most popular artists, beloved of cognoscenti and the general public alike, and celebrated by everyone from Proust and Dali to Peter Greenaway and Tracy Chevalier (whose bestselling novel Girl with a Pearl Earring offered a fictional portrait of the enigmatic artist). Considered purely in terms of his subject matter--women reading letters, artist’s studios, servants at work--Vermeer conformed entirely to the genre repertoire of Dutch Golden Age painting. What he brought to these genres was a realism so powerful that it captured the subtlest effects of light, opened up thrilling psychological tensions and disclosed incredible serenities of indoor reverie. 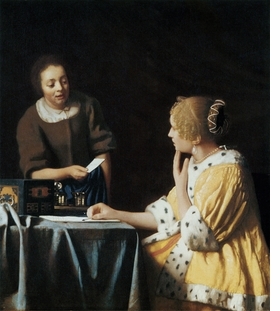 Vermeer is also surely one of the most sexual painters of all time, with the sly expressions of his subjects and their whispered intimacies, and his focal points of almost excruciating tenderness and precision--an earring, a wineglass, a pin. 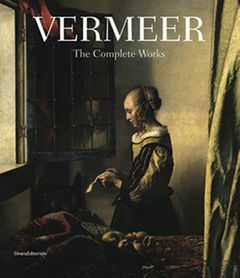 Of Vermeer himself almost nothing is known, and his oeuvre, or what survives of it, is one of the most condensed in the canon: just 34 works, every one of them a masterpiece. This volume--the new standard Vermeer monograph--reproduces all 34 paintings, augmenting each with close-ups that lay bare the loving care Vermeer lavished upon each painstaking work. Johannes Vermeer (1632–1675) was born in Delft, Holland, and lived his entire life in the city. He married Catharina Bolenes in 1953, fathering 14 children with her. In his lifetime he saw only moderate success, perhaps in part because of his relatively small output, and when he died in 1675, he left his wife and family in debt. 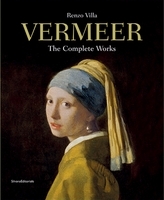 Featured image is reproduced from Vermeer: The Complete Works. FORMAT: Hbk, 9 x 11 in. / 160 pgs / 100 color.